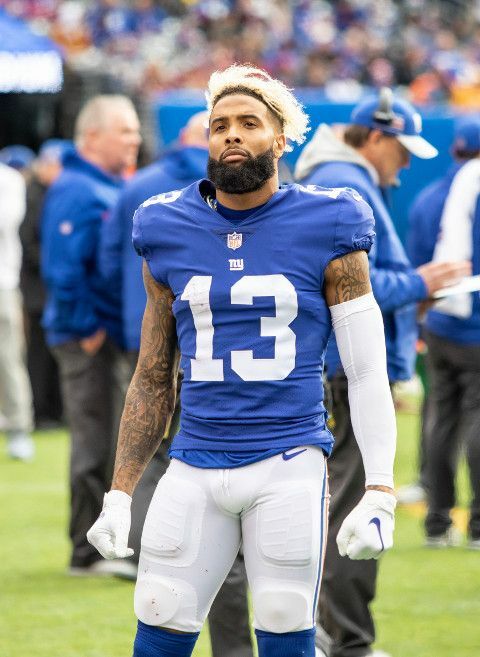 In a shocking and totally unexpected move, the New York Giants traded explosive wide receiver Odell Beckham Jr. to the Cleveland Browns in exchange for a 2019 first-round pick, a 2019 third-round pick and safety Jabrill Peppers. Giants fans are hurt, while Browns fans are rejoicing. The trade def came out of left field, especially after Odell became the highest paid wide receiver in the NFL in August 2018. The 26-year-old NFLer agreed to a five-year extension worth $95 million, with $65 million guaranteed with the Giants. After the trade, the dynamic wide receiver told NFL Network's Kimberly Jones the trade is "bittersweet, but it is what it is. It's life." He continued, "At this point, I have no idea what to think. I'm trying to process it right now." He said he had a brief conversation with GM Dave Gettlemen after the trade. Now, the Browns will be a team to look out for as they are likely to be playoff (and possibly Super Bowl) contenders. Their offense is going to be insane. Odell will be joining his former LSU teammate Jarvis Landry and quarterback Baker Mayfield, the team’s No. 1 overall pick in 2018. Yeah, they're definitely going to be a problem. From high school to LSU to the Cleveland Browns. According to NFL Network, Odell wants to restructure his contract like Antonio Brown recently did when he was traded to the Oakland Raiders. To avoid any friction with their newest star, the Browns might agree to restructure Beckham's contract. Adding a few million dollars and increasing his guarantees wouldn't significantly alter their financial flexibility going forward—at least much more than adding his existing contract to the payroll did. Oh wow! No loyalty in this game! After trading with the #Giants for Odell Beckham the #Browns essentially have a team you’d build on Madden now. The NFL will be quite interesting next season with these trades, including LeVeon Bell's trade to the New York Jets and Antonio Brown's to the Oakland Raiders.